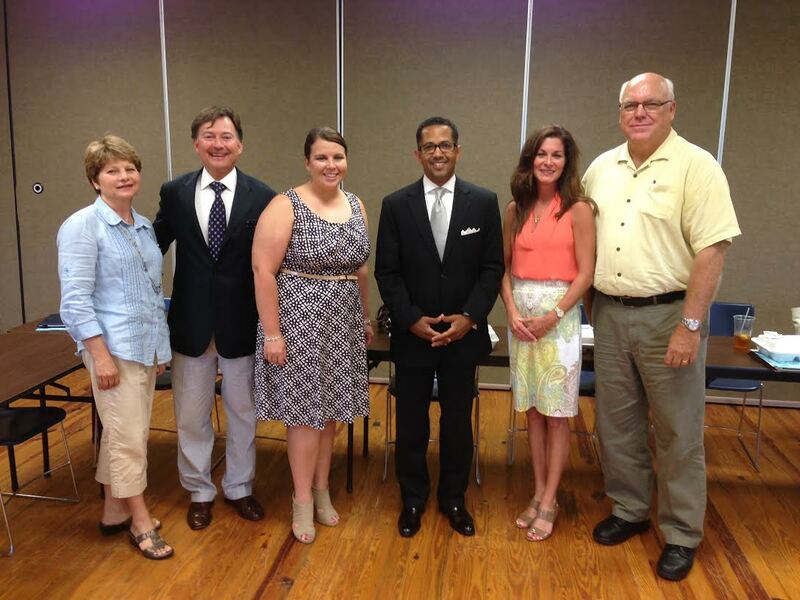 The Regional Tourism Council (RTC) welcomed its newest member, Al Hutchinson, at their monthly meeting held July 9th. Mr. Hutchinson, proceeding David Randel, is the new President and CEO of the Mobile Bay Convention & Visitors Bureau and started at his position on July 1st. Formerly the Vice President of Convention Sales and Service at the Virginia Beach Convention & Visitors Bureau, Mr. Hutchinson comes to Mobile with nearly 25 years of experience in the hospitality and destination marketing industry. He is a graduate of the University of Alabama and has served in leadership positions in multiple CVBs throughout the country. Mr. Hutchinson expressed an appreciation for the council’s efforts towards thinking regionally about tourism and is excited to be a member of the group. He will be an asset as the group moves forward with innovative action items, such as the development of a regional tourism website. In addition to the RTC, Mr. Hutchinson will also be joining CAP as a member of the Founding Entities Council. CAP thanks Mr. Randel for his contribution to the organization’s efforts and welcomes Mr. Hutchinson to the team.